In March 2004 our seven-month-old son Jack was diagnosed with Stage IV Neuroblastoma, a rare and aggressive childhood cancer. We decided to create a website to keep our friends and family updated with Jack’s treatment. We will update Jack’s Journal with news of our family’s progress. We have been overwhelmed by the support and encouragement that we have received. It has been humbling that so many people have offered us help and support as we deal with a challenging road ahead. Farber not only from other states but other countries. Jack was on a protocol that had shown the best results for curing his illness. In the lobby of Children’s there is a banner that says, “When parents are told that nothing more can be done, they come to Boston.” We were grateful to begin our journey here. 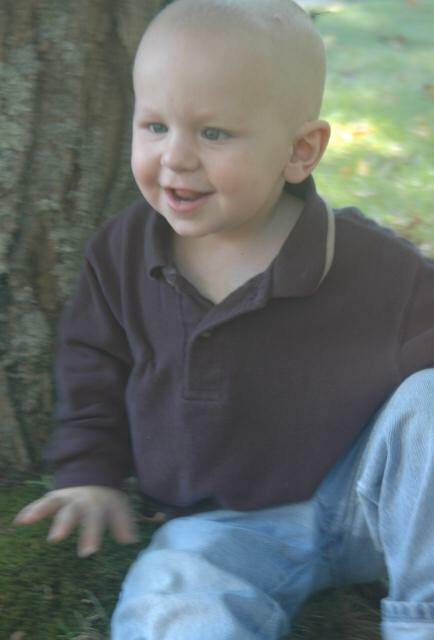 Since diagnosis, Jack completed the majority of Dana-Farber’s 34-DAT protocol for high-risk neuroblastoma. His treatment plan included five rounds of high-dose chemotherapy; stem cell harvest; a ten-hour surgical resection of the primary tumor, adrenal gland, lymph nodes and a sizable portion of his liver; seven sessions of local radiation to the site of the original tumor; two stem cell transplants, one with Total Body Irradiation; and two months of Accutane. Jack relapsed on February 12, 2005, just before beginning his third round of Accutane. A 3 x 3 cm bone mass was detected behind his left eye, causing the eye to protrude. We then explored clinical trials to extend our child’s life without compromising its quality. We tried several more low dose chemotherapies, three weeks worth of radiation to his left orbit, a phase two drug called decitabine, more high dose chemotherapies, MIBG radiation therapy at Children’s Hospital of Philadelphia, more combinations of chemotherapies and ultimately hospice care. Jack now lives forever in our hearts.